Home » Papers » Why use variable frequency drive? Among the most successful strategies managers have at their disposal for controlling electrical energy use and minimizing utility costs is the use of variable frequency drive (VFD). Incorporating variable frequency drives into applications such as fans, pumps, and cooling towers can reduce energy use up to 50 percent at partial loads by matching motor speed to the changing load and system requirements. Advances in variable frequency drive technology are putting even more power in the hands of maintenance and engineering managers, who are taking a closer look at the life-cycle costs and potential benefits of variable frequency drive applications for their facilities. Electric motors' driving equipment, such as pumps and fans, normally operate at a constant speed. Some form of mechanical throttling - a valve on the outlet, in the case of a pump, or the slats in a louver, in the case of a fan - controlled the water or airflow speed and volume. Using these flow-control methods, the motor continues to operate at full speed and uses electric energy at the full-load rate, even though it was performing less useful work. In the process, it wasted a great deal of energy. Variable frequency drives have introduced a more efficient way to provide load control when the load varies, which is most of the time when moving fluids. The two most commonly used methods to vary speed electrically, rather than mechanically, depend on whether the VFD is AC or DC. If it is AC, which encompasses most motors, varying the frequency of the electrical energy supplied to the motor controls the speed. Examples include AC motors' driving fans, pumps, and compressors. If the motor is DC - still a large portion of equipment - VFD motors - a typical solution is to apply an AC power source to a silicon-controlled rectifier (SCR) motor control, converting the AC to rectified DC. DC power, speed, torque and horsepower then vary to meet the demand. Technicians can convert AC induction motors to variable-speed applications by inserting a VFD controller - basically, a power supply and a computer - into the circuit, either as the original equipment specification or as an upgrade, matching the controller and motor with demand variations required by the application. Two AC motor principles form the basis for the significant efficiency gains variable frequency drives offer. First, speed varies directly with frequency. 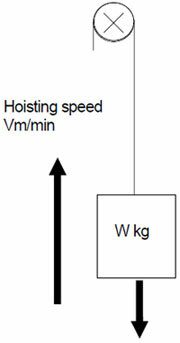 Second, input power varies with the cube of the speed and volume. The speed principle states the speed at which an AC electric motor rotates depends on the number of poles in the motor and the AC frequency. Changing the frequency changes the speed. This relationship is expressed mathematically as follows: Speed in revolutions per minute (rpm) equals the frequency multiplied by 120, with the product divided by the number of poles, where the constant, 120, is 60 seconds per minute multiplied by two poles per pole pair, and frequency is expressed in cycles per second. Based on this equation, a four-pole AC motor running at 1,800 rpm under 60 Hertz (Hz) power would run at 1,500 rpm if the frequency were reduced to 50 Hz. Because of advances in variable frequency drive technology, most units now use pulse-width modulation (PWM) as the basis for their circuitry. A PWM control converts the 60-cycle input line power to DC, then intermittently and rapidly applies the output voltage for varying lengths of time, similar to AC, to arrive at the desired frequency. The power principle above states the power required to drive a pump or fan varies with the cube of fan or pump speed and volume. Based on this principle, only slightly more than 10 percent of the power required at full speed is required to turn a pump or fan at one-half speed. Compared to other ways of controlling partial loads, variable frequency drive advances have yielded savings in the form of energy reduction that often reach 50 percent. Advances in technology have produced a proliferation of application-specific features. In HVAC applications, variable frequency drives are integrated with building automation system protocols. Most variable frequency drives now use the latest advances in soft switching, such as fourth-generation insulated-gate bipolar transistors (IGBT). These latest-generation IGBTs cause less stress on insulation, increasing motor life. Advantages for HVAC variable-torque applications include more low-speed torque applications, motors that operate with less harmonic noise, and better low-speed stability with minimum oscillations. broadcast function to control dozens of VFDs from one advanced operator panel. Operational capabilities include lowering the peak energy use on which energy rates are based. Normally, when an AC motor starts, it draws an inrush of as much as 300 percent of rated current while developing only 50 percent of rated torque. When a variable frequency drive starts a motor, it applies a very low frequency and very low voltage to the motor, gradually ramping up the frequency and voltage at a controlled rate. This approach allows the motor to develop 150 percent torque while drawing only 50 percent of rated current. For quicker stopping, operators can add a braking circuit to produce the required braking torque. Available variable frequency drives can match the voltage and current of most three-phase AC motors. Low-voltage controllers range from 110 volts to 690 volts (V) and from 0.2 kW or ¼ horsepower (hp) to 750 kW or 1,000 hp. Medium-voltage controllers operate at 2,400/4,160 V and 60 Hz, or 3,000 V and 50 Hz, and on up to 10 kilovolts. With the availability of premium motors, operators can extend variable frequency drive-to-motor cable lengths up to 190 percent of the distance allowed with energy-efficient and standard motors. Experts estimate that 50 percent of the energy supplied in the China powers AC induction motors. Of that amount, 65 percent goes for variable-speed applications. So the energy-reduction opportunities offered in this area alone are tremendous. Among the many other benefits of variable frequency drives are less wear on equipment, lower maintenance costs, and a lower power factor (PF), which is the ratio between active power and total power. Taken together, these benefits lower both the rate charged per kW hour by the utility company and the total kW hours required. Energy costs can drop by as much as 50 percent when the connected loads are below rated capacity because at lower speed, the VFD uses less power, rather than dissipating it as heat or other losses. Equipment wear will slow, and equipment life cycles will lengthen, due to less stress on rotating parts, including bearings, sleeves, casing wear rings, couplings, and packing glands, as well as on electrical parts, such as windings and insulation. Also, fewer vibration problems related to throttling will arise to drive up maintenance costs. A side benefit of the AC variable frequency drive is it will correct the PF without using expensive capacitors on all induction motor circuits converted to variable frequency drive. Induction motors generally have low PF — around 0.85, where ideally PF equals 1, meaning 100 percent useful or active power and no losses or reactive power. So, in addition to the energy savings from running at speed adjusted to need, there also are savings associated with reducing the use of reactive power. Managers can quickly and accurately calculate the payback on the purchase price, breakeven point, and return on the investment using available energy-savings programs. Location-specific data, such as variable frequency drive conversion purchase price, flow rate and head, daily and annual flow variability, operating shifts, and annual operating days are the input. The output is the amount of time, often as little as a few months, for the investment to pay off and start generating net savings. Added to these benefits are purchase-price rebates from utility companies — in some instances as high as 50 percent, depending on the size of the VFD and application. Utilities know demand on their systems will drop substantially with the installation of variable frequency drives. Managers might need pre-approval, so due diligence in this regard is important. Energy-saving benefits versus acquisition and operating costs are certainly worth the effort. Finally, most VFDs are subject to deterioration in dry and wet conditions, similar to other motors. 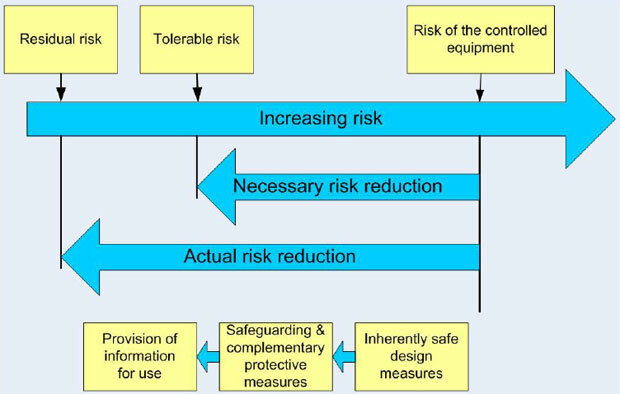 Still, some suppliers predict the mean time between failures will be as high as 200,000 hours or more with only very basic preventive maintenance — for example, cleaning, visual and infrared inspection, and tightening on weekly to monthly cycles, depending on severity of conditions and use.